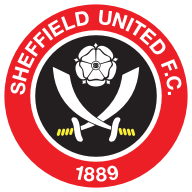 Second-half goals from David McGoldrick and Billy Sharp gave promotion-chasing Sheffield United a 2-0 victory over Bolton. The result keeps the Blades firmly in the hunt for the automatic promotion places. Bolton, at the opposite end of the table, have now won just once in their last eight outings. They rarely threatened to upset the odds at Bramall Lane. Bolton boss Phil Parkinson handed a debut to Callum Connolly, who was signed on loan from Everton in the week, while United's bench included Scott Hogan, who was signed on loan from Aston Villa. Mark Duffy tried to find Sharp inside the area early on but Jack Hobbs was on hand to clear. Bolton's Clayton Donaldson, who was playing against his former club, had a header deflected wide. Jack O'Connell chipped the ball into the area but Sharp was unable to bring it under control and keeper Remi Matthews was able to claim. Enda Stevens then had a drive blocked and John Fleck's firm shot was deflected wide. Fleck was a reported target of West Ham during the transfer window. United were not at their best before the break and were frustrated at times by Bolton's defending. 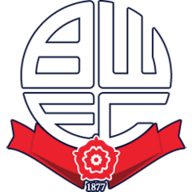 Bolton threatened early in the second half when Luca Connell swung the ball into the area and Donaldson directed his header on target, but Dean Henderson was able to make a comfortable save at his near post. The breakthrough came in the 56th minute when Sharp did well down the right, advancing into the area before squaring to McGoldrick who turned the ball into the net. Sharp added a second goal in the 73rd minute, scoring with a header after meeting Ollie Norwood's pinpoint free-kick. United boss Chris Wilder sent on defender Richard Stearman in place of Duffy and handed a run-out to former Bolton striker Gary Madine, who took over from McGoldrick. A final substitution for the hosts saw Sharp make way for loanee Kieran Dowell. The ever-popular Sharp received a standing ovation from the home supporters as he left the pitch. Sharp has now scored eight goals in his last eight starts with his total for the season standing at 20. When substitute Josh Magennis threatened to find a way through in a rare Bolton attack, Henderson reacted swiftly to snuff out the danger. Bolton, who are beset by financial problems and missed out on signing Ched Evans on loan this week, now look in real danger of suffering relegation to Sky Bet League One. It was an improved second-half performance from the hosts who now travel to Aston Villa next Friday night, live on Sky Sports. Chris Wilder: "They were dogged opponents with professional pride at stake and we had to work hard. It was a really slow game in the first half and I suppose they would have been delighted with that. We played a little too slow and a little too safe for my liking in the first half. "We just needed to speed things up in the second half, which we did. It's a little gentle reminder that we can't try and coast in games. We've got to go full tilt and see if we can blow the opposition away early on. Every game has got to be won and taken on its merits. You've got to get the job done - we know that." Bolton assistant manager Steve Parkin: "I think we were pretty comfortable in the first half and had some more than reasonable possession. It was important that we didn't let United dominate for long spells. "There was nothing in the game really and we were happy with our first-half performance. Goals change games and Billy (Sharp) was half a yard offside when he was played in so the goal shouldn't have stood. It was poor defending for the second goal."